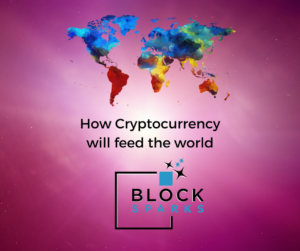 Blockchain technology is already making a significant impact on many developed-world industries – but what do you care about that, if you’re one of the producers at the very foot of the food chain, without access to the basic financial tools we take for granted in our privileged lives? Let’s face it, the average Westerner with a smartphone in their pocket and money in the bank still probably has a pretty incomplete understanding of the potential changes possible. 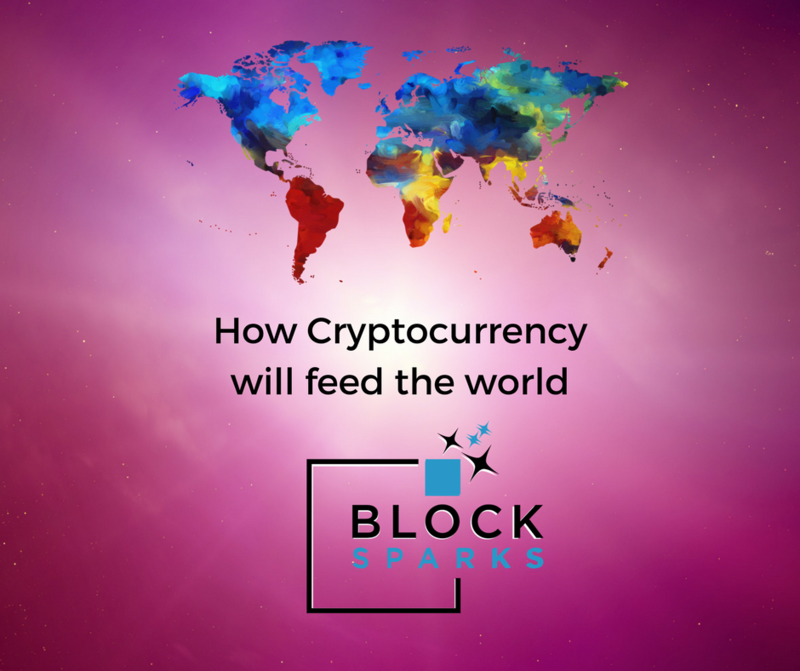 But there are so many exciting projects out there now, using Blockchain for good to convince people that it doesn’t all have to be about making the rich richer – we can also change lives, including the lives of some of the least fortunate people on the planet. At the moment the agriculture industry is controlled by international corporations for their own benefit. The richest, most powerful multi-national industries get to set standards to suit themselves, including what should be grown, in which country and in what volume. The rich getting richer is not a new story, but with Blockchain things are changing. Online trading makes it possible for even the smallest farmer, in the remotest corner of the globe to have the ability to get their produce out there, onto the world market. Blockchain tech makes it infinitely more transparent to trace the origin of your fair trade coffee or organic vegetable, instead of taking a leap of faith with no real assurance that what you are buying is what or from where is says it is. Food standards are more measurable that ever before because the ability to trace every bean and grain back to its origin is getting simpler to do every day. Agricultural pricing is determined by the corporations and the mass producers, leaving smaller operations unable to compete – but as is already happening, with more information readily available, consumers are able to make more informed choices about their food and therefore better able to buy locally sourced products from their own neighbours. Who is involved in crypto-agriculture and what are they doing to feed the world? This is an app which is a Blockchain-based ecosystem of farmers online that allows you to communicate with, and ultimately purchase, from the ‘man’ on the ground. Still in development, this app aims to let you the consumer hand-pick your produce from your own country, conversing directly with the food producer, and have the opportunity to get a delivery to your door or to pick up the produce yourself. What an amazing opportunity to literally see where your food is coming from, how it’s grown or kept and who your money is going to. The transactions on the app will be made using PineappleCoin, your cash will be converted into cryptocurrency which is then safely stored as payment to the farmers. You also get a crypto reward for every purchase you make, which is a fantastic way to start your own crypto-journey. The first MyFarmer shops will be opening in France in 2019 but they hope to roll out in as many countries as possible in the future. Farmers can apply to be a supplier on the app, and the best part is you get to set your own prices. Sentinel Chain is a company providing financial services to farmers across Asia. They specialise in livestock as collateral – as animals cannot be considered by banks as capital, they can’t be offered as assets to banks in exchange for loans, so without legally recognised assets they cannot get financial aid and this results in a cycle of poverty. This blockchain-based platform has created a digital system to identify and verify livestock ownership which can in turn be used as proof of collateral with banks and used to get loans, credit, insurance and so much more, all of which has previously been inaccessible to smaller farmers. Access to credit has become cheaper and faster and credit, e-payments, investments and insurance has made it possible for ‘the unbanked’ to become a part of the global economy, something that just hasn’t been achievable for them in the past. Wala is a financial services platform that is powered by the Blockchain. Dala, who are crypto token issuers, have teamed up with FimComEco, financial commodities for financial inclusion, and BLCC, a commodity trader in Africa, and together they are helping to create Blockchain-enabled platforms to financially support companies in developing markets. They will provide a pot of cryptocurrency which will become a loan base to provide the means for small farmer across Africa to be able to purchase the fertiliser, seeds, pesticides and other equipment they desperately need to make their businesses thrive. BLCCs CEO Chris Cleverley said “We are helping to empower African farmers through loans to purchase fertilizer and have better access to markets”. The project will start in Uganda before being extended across sub-Saharan Africa. It’s an absolute privilege to see the beginnings of these truly inspirational projects, it gives us hope that as a planet we could genuinely eradicate hunger, create income for those who never had the opportunity, finally bridge that gaping chasm between rich and poor and bring about an equilibrium that has, up to now, been significantly out of balance. If we can avoid cryptocurrency control becoming overcentralised and concentrated in the wrong hands, we have the potential to finally address the sustainable development goals, and empower change, literally from the grass roots. It’s exciting to read about these projects and what they’re working towards!